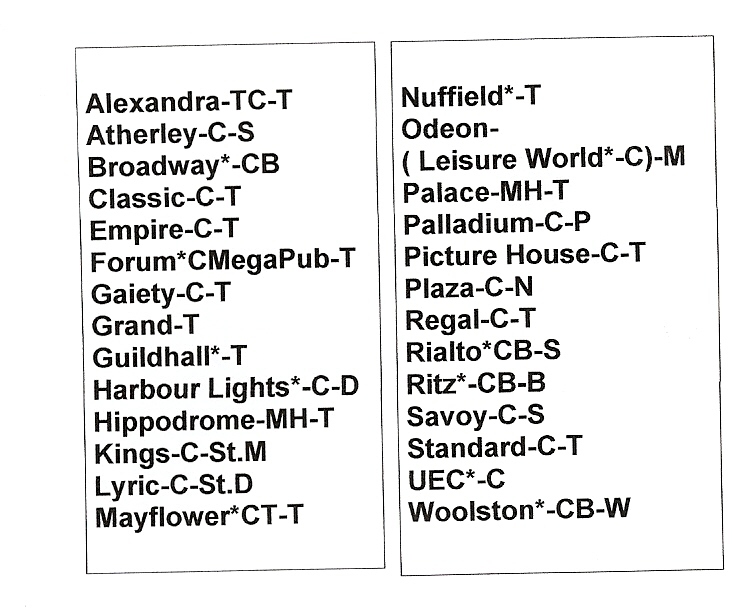 Cinemas, Theatres, Music Halls in Southampton. Key to symbols=*-Building exists.B=Bingo. C=Cinema. I=Ice Rink . M/H=Music Hall. B=Bitterne. N=Northam. OV=Ocean Village. P=Portswood. St.D=St.Denys. St.M=St.Marys. SW=Swaythling. T=Town. WQ=WestQuay. W=Woolston. Let me know of any I have missed? The Tablet to the former Grand Theatre ( site of present Marlands House-Council Offices ) has not been replaced although raised at Court Leet-2006. A combination of German Blitz- Bombing & changes of public taste, particularly advent of Television, has radicaly affected choice. NB. The Broadway, former Cinema & Bingo Hall, to be converted to a Community Church-2011. 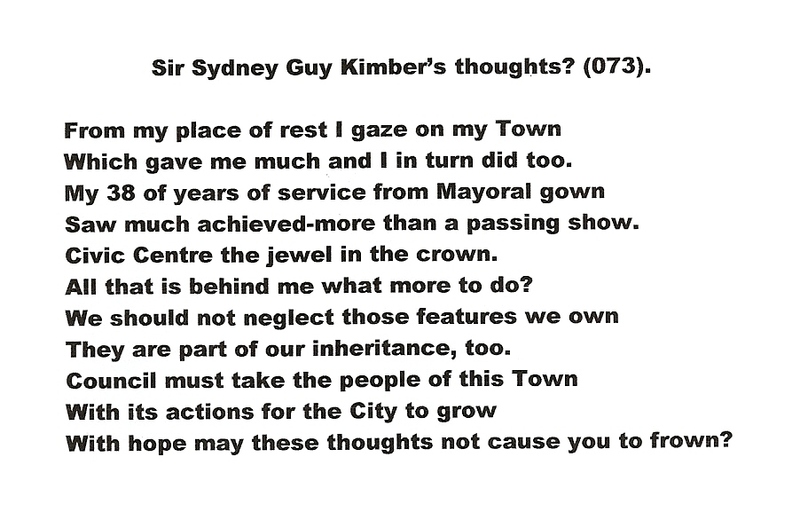 Sir Sydney Guy Kimber. (23). A man who cared for Southampton. Born 5th. November 1873 – died 1949. Mayor ( 695th./ 696th.) -1918-1920. 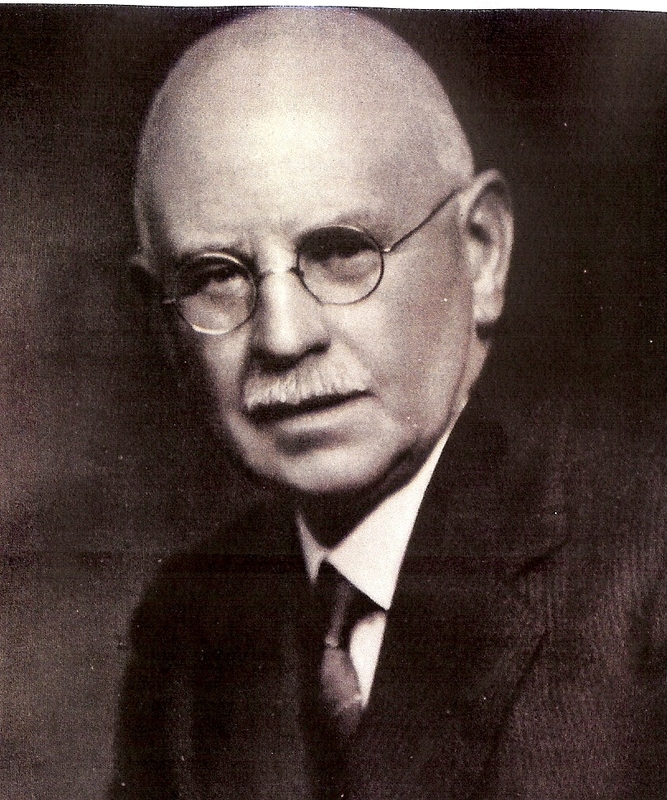 He led the Council for 38 years-1910 to 1948. The Civic Centre & Sports Centre among his many activities & achievements. His first employment as a young man was to work in his Father’s brickyard at Highfield ( now part of the University Campus). He received his Knighthood -21st. February 1935. His autobiography – ’38 Years of Public Life In Southampton’ – published-1949, is a compelling history of his life. He lived , worked & cared for Southampton. 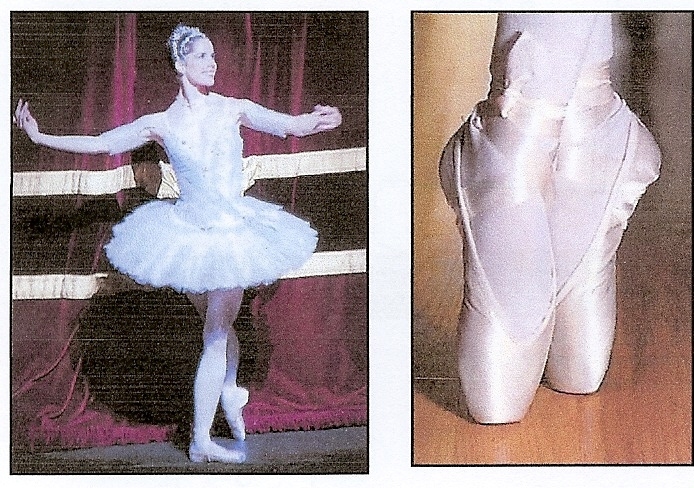 Darcey Andrea Bussell,CBE. The ‘points’ of Ballet. The companies, etc.,: to name but a few. Whose contribution was great. Diagaliff Ballet; English National Ballet; Imperial Russian Ballet; Royal Ballet; Sadlers Wells Ballet. The dancers-female- Darcey Andrea Bussell,CBE. ; Dame Margo Fonteyn ; Alicia Markova; Anna Pavola; Ninette de Valois. Vaslav Nijinsky; Rudolfe Nureyev; Harold Turner. The ballets: Casse-Noisette (T); Coppelia; Giselle; Hamlet (T); Romeo & Juliet; Les Sylphide; Sleeping Beauty (T): The Swan Lake; The Rakes Progress. Ref. Authors- ‘Balletomania’ by Arnold L. Haskell-1934. ‘Footnotes to the Ballet’ by Caryl Brahms-1936. ‘The National Ballet’ – Arnold L Haskell- 1942-1943. 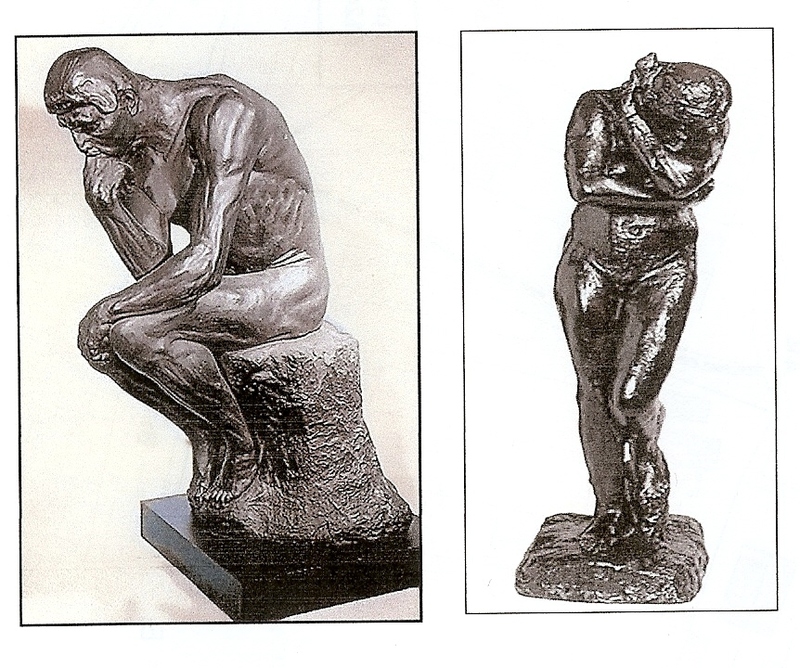 ‘The Thinker’ initialy titled ‘The Poet’- bronze- 6′-6″ tall, originally custom-made for the ‘Museum of Decorative Arts ‘in Paris. The Museum was not created. ‘Eve’- bronze-1881-1882- 5′-7″ tall. Accession No.2/1960- Chipperfield Bequest Fund-Southampton Art Gallery.When Rodin was 76 years of age he donated his complete collection to the French Government, now housed in the Museum Rodin in Paris. not proceeded with, much local & national objection ; the local press were active in the proposal to sell artworks from the Art Gallery’s Chipperfield Bequest Fund Collection. 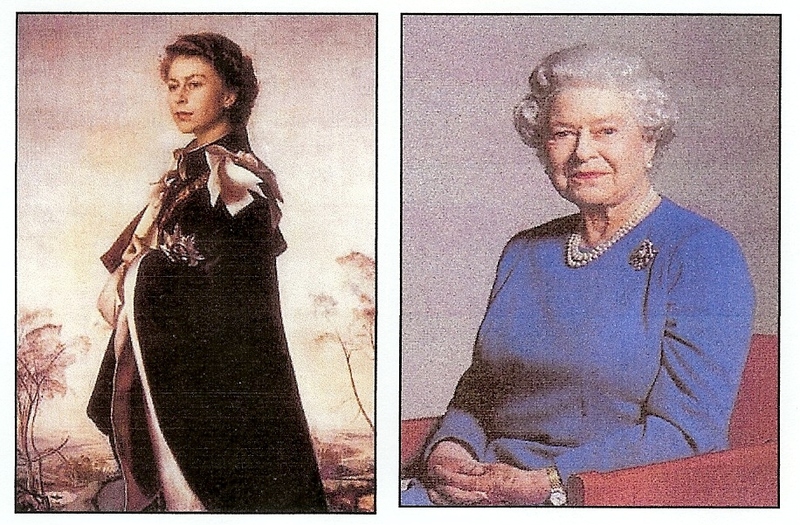 Her Majesty Queen Elizabeth 11.(20). Devoted service to our Nation & the Commonwealth. The left painting by Pietro Annigoni-1955 & current portrait. On Coronation Day-2nd. June 1953-Her last words-final paragraph,-“As the day draws to its close, I know that my memory of it would be not only the solemnity of the ceremony, but the expression of your loyalty and affection. I thank you all from a full heart, God bless you all”. In Southampton’s Andrews Park, thanks to public donations, we have The Queen’s Peace Fountain as our appreciation of Her Majesty’s continuing reign. 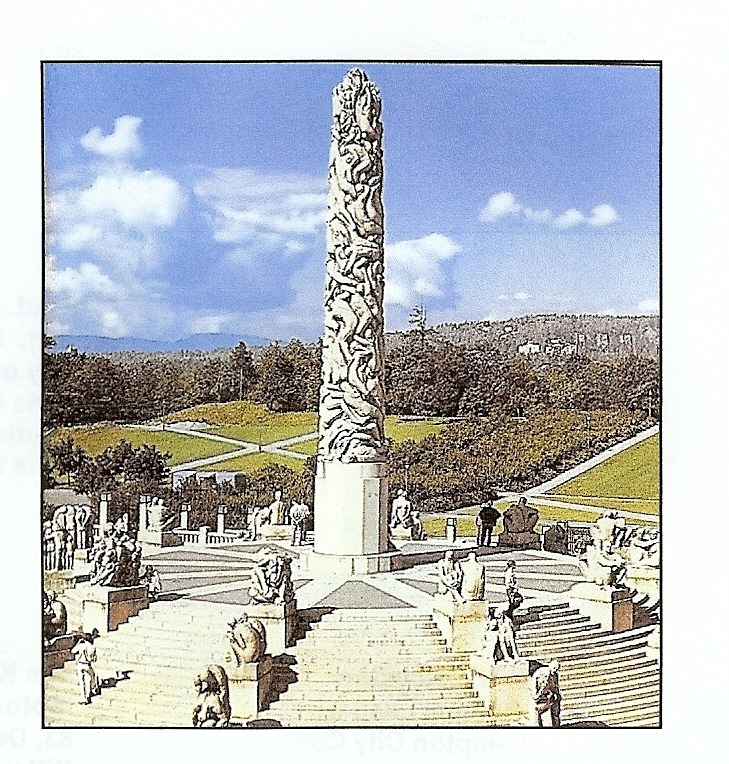 Gustav Vigeland was born at Mandal, his father was a master joiner. As a boy he showed an aptitude for drawing & woodcarving. As a result he was apprenticed as a woodcarver. From 1892 to 1902 he travelled & studied widely; then devoted himself to the sculptures in the ‘Frogner Grounds’ ( the Vigeland Park ). A splendid collection of art of people of all ages, showing his great skill. Lubor Velecky-a fighter for open spaces.(18). 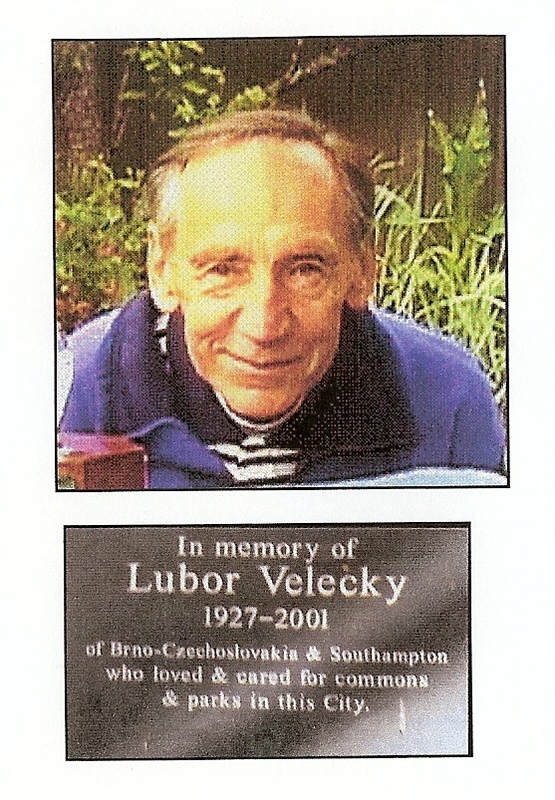 Lubor was Honorary Secretary of SCAPPS from 1974 to 2001. He died- 30/11/2001. Originally from Brno-Czechoslovakia, he came to the UK in 1948 ; later an academic at Southampton University.Thanks to his complaint to the Ombudsman, his complaint was upheld and Rockstone Place returned to its original open space; as given to the Town in 1879 .Rectified in 1991.The plaque in memory of Lubor is installed in the east wall of Rockstone Place Park. (Little Mongers).